Let the experts at Sandman Installations remove the worries of your next home project. Contact us today for your next appliance install! Count on our team to do your installation job right and to do it right the first time. We stand by our work and offer a one-year guarantee on every installation we do. Our team can handle any appliance installation or custom kitchen project you have. Whether it is residential or commercial, our expert installers will get the job done. Let us take your home to the next level. We make every project a priority and ensure that you are 100% satisfied with the installation. Contact us for a quote today. We install a full range of appliances from Wolf, Viking, Bertazzoni, Sub-Zero, and more. 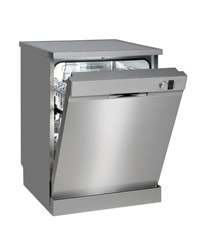 We specialize in working with 58-inch hoods and professional dual fuel 48-inch ranges. Sandman Installations Inc. is factory certified to install most major brand appliances. Servicing both the residential and commercial industries for over 18 years, you can rely on us to get the job done in a fast and efficient manner. Here at Sandman Installations Inc., we take pride in our work. In fact, customer satisfaction is our #1 priority. That’s why we offer a one-year guarantee on every installation we do. With over 18 years of experience working with our customers to bring their in-home dreams to life, we can offer exceptional service at a great price. Let us help you bring your dreams to reality by calling Sandman Installations Inc. today! "The job was to change a kitchen faucet. He postponed the appointment twice. It was ok because it was not an emergency. Other than that, he showed up on time and did the work fast. I will hire him again whenever I need a plumber." "Installation was great, found a lot of complications down the road and solved them." "The job was quite possibly the most difficult dryer installation possible. After spending countless hours trying to get the dryer vent to vent my old over side dryer into a small closet and vent properly, I turned to the Internet. Dave responded within minutes. At first, I was hesitant to spend $100 because the dryer was free and all the hoses and vents I bought tore up, I didn't want to sink more money into this dryer. But Dave assured me he could do it, and I couldn't do it myself. Dave came out one evening, a little later than expected due to another job running late but that's ok. He spent about 2.5 hours working on it and fabricated a vent with one damaged one I had on hand. He got it to fit so the door could close but the dryer door wouldn't open. So at 11:30 he called it a night, so did I. Dave came back 2 days later with the right vent but my house was poorly built and the vent pipe was angled the wrong way. Dave was able to manipulate that vent to allow a proper connection. So overall it took him close to 5 hours but that's not his fault. It's my poorly built house. I will never move this dryer and I will definitely consider Dave for any of my installation needs." "I had ordered an Asko dishwasher, and the installer recommended by the appliance store was always too busy doing other larger jobs, so after a month, I finally started looking for another installer. I went to Thumbtack and Sandman Appliance Installations (David) responded to my inquiry. David was able to come in the afternoon the following day after his morning installation and did a great job installing the dishwasher. In conversation with David about his prior work and jobs, etc., we found him to be a very hard working gentleman and very good-hearted and dedicated to his job and to his clients. His price was reasonable, and he cleaned up the kitchen and the area (Styrofoam) where I was storing the dishwasher waiting to be installed. I would definitely recommend him to other people." "Removed stove hood. Moved cabinets up. Installed microwave over the stove. The best!" "Top-notch work done by David. True professional and champ at efficient work. Would certainly look forward to work together again. Thanks for a clean installation of the ceiling fan David!!" "Professional, experienced, thorough - would hire again. A genuinely good guy." "David is very capable and honest, did a great job, even with some extra problems to solve but still at quoted price." "David was prompt, professional, and polite. He and his brother installed 2 ceiling fans w/ light fixture. I would recommend him to anyone who could use his service." 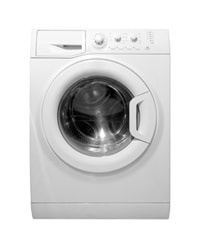 "Great job done by David to install our washer and dryer. David responded my request quickly and detail-oriented in the installation." "David called ahead to let me know he was running a little late, but by the time he got to my house was not actually late. He was courteous, professional, and quick. He removed old washer and dryer and installed new, up and down 16 steep steps without a single mark on my newly painted walls!! David and Sandman Appliance Installations are now my "go-to guys"!" "David & his brother were efficient, professional, knowledgeable & did a great job installing my new wall oven. I would highly recommend him for appliance installations and other estimates. Made sure to get extra business cards to share with neighbors in need!" "Install of induction cooktop replacing existing cooktop. Did a nice job of cutting the granite countertop to accommodate a slightly larger insert. Job was quick and efficient." "David is excellent at what he does! Very skilled and professional. He accommodated my busy schedule, was very prompt and I will use him again when needed. Great job David!" "Thanks David for your on-time and stick-to-the price work. I noticed acknowledging some size difference between the existing light, and the ceiling predecessor. This would have been the opportune time to bump up the price and make a few extra bucks for yourself but you didn't. Your experience made it work and your professionalism kept you from inflating the price. Thanks, David. Thanks to you, I will not need thumbtack anymore. I found my handyman"
"Thanks David for all the great work throughout the years. From installing new toilets, garbage disposal, kitchen faucet, light fixtures...you always get the job done. You've saved me a lot of money too! Glad I found your company." "David is a kind person and a hard working type and loves to get the job done at a reasonable price and time so you can get back to your life schedules. Also does outstanding work to perfection. I just love his work. I prefer David to work on my house than anyone else." Contact us with any questions or concerns you may have and let our knowledgeable staff work with you to bring home your dream. Get a quote! Send us a message now to get started as soon as tomorrow!